Mini loaves are great for gift giving because they are small and you can give each person on your gift list 2 or 3 different kinds of mini loaves. 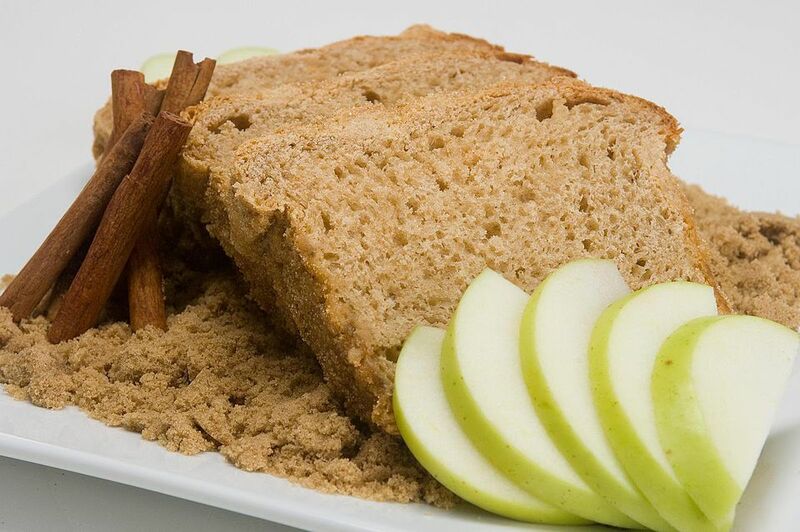 Cinnamon apple mini loaves smell and taste delicious. The loaves are also very easy to make and perfect for beginners. Grease 3 mini loaf pans. Preheat oven 350 F.
In a large bowl, mix together flour, baking powder, cinnamon, and salt. Cut butter into thin slices and add to bowl. Break butter into mixture with fingers until mixture is crumbly. Stir in brown sugar. Add chopped apple, milk, and eggs and stir. The batter should be thick but not dry. If necessary, add more milk, a tablespoon at a time. Scrape batter into three greased mini loaf pans. Bake at 350 F for 1 hour or until done. Turn loaves out and let cool on the rack. Preheat your oven before you begin mixing the quick breads. This way, by the time you are finished mixing the batter and putting it into the tins, the oven should be fully heated. If it is not ready, wait the extra minute or two until the oven has reached the proper temperature. Buy baking powder in small quantities if you do not bake a lot. Baking powder loses its potency over time. Store brown sugar in an airtight container to keep it from becoming hard. When measuring out the brown sugar, always pack it down into the measuring cup or spoon unless the recipe tells you to do otherwise. Never mix quick bread batter until smooth. You want to mix the quick bread batter until the flour is wet, but there are still lumps in the batter. These mini quick breads can be frozen. Store the loaves in airtight bags to prevent freezer burn. Remove a loaf from the freezer as needed and let thaw before eating or warm them in the oven or microwave. Make baking powder substitute by combining 1 teaspoon baking soda and 2 teaspoons cream of tartar. This will replace the 1 tablespoon of baking powder called for in this recipe. Have You Tried Beer in Your Homemade Sourdough?